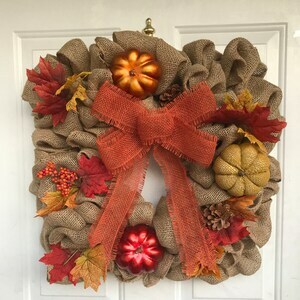 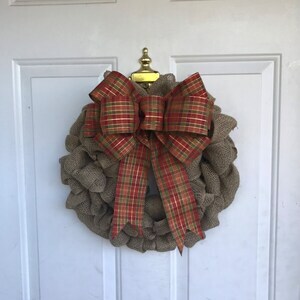 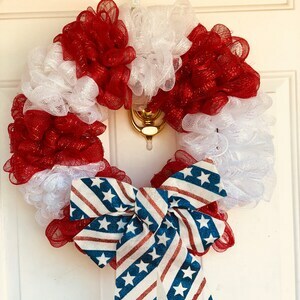 This beautifully adorned burlap wreath says “Welcome” to all holiday friends and family. 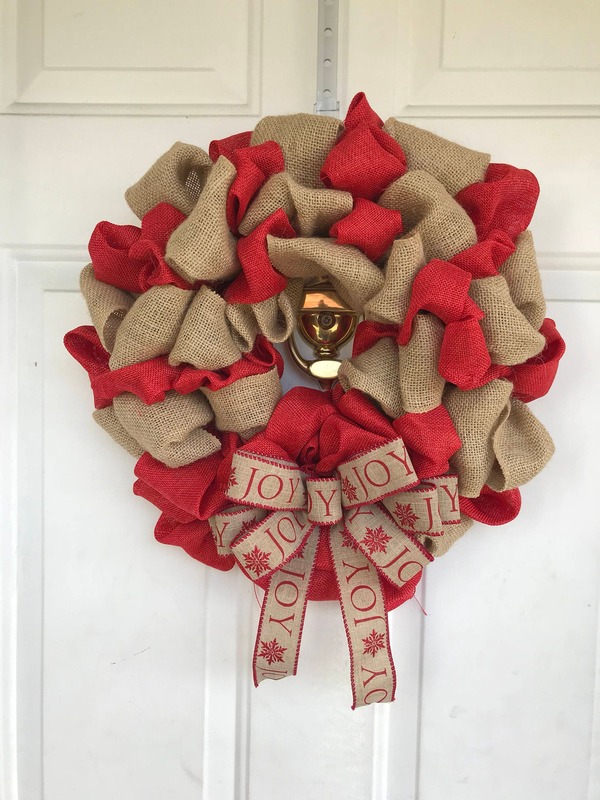 The red and tan burlap is uniquely patterned and interwoven through a wreath frame. 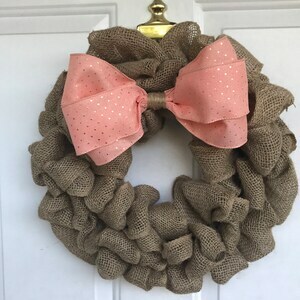 The joy ribbon has been transformed into a beautiful bow to make the perfect accent for this holiday wreath.